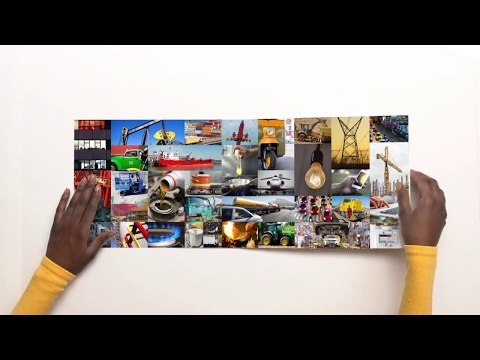 Sustainability at Shell means providing energy in a responsible way, in a manner that respects people and communities, their safety and the environment. Discover examples from our projects and operations around the world below. 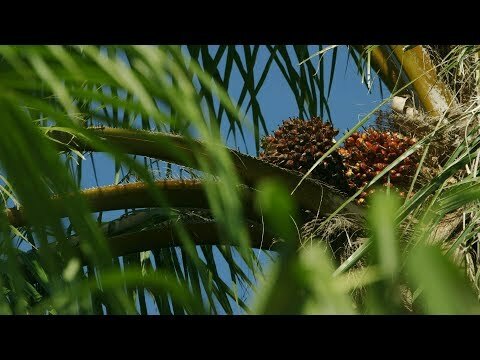 Watch all the sustainability films on YouTube. The ‘E’ logo scrolls across screen from right to left and a ‘Shell’ logo appears under ‘LIVEWIRE’ with the words ‘YOUNG IDEAS AT WORK’ appearing under the ‘Shell’ logo. The ‘LiveWIRE’ logo then switches to white over softened picture of two men holding a cheque between them. Close up of Jo Cochrane. View then changes to show shop assistant (wearing black shirt) placing customer’s purchases in white plastic carrier. Customer in the front of picture wearing grey hoodie and beanie hat. Close up of Thabitha Malinga, with scarf round neck, left profile. Close up shot of male staff member at his desk on the telephone with a map on the wall behind him. in middle of the screen. Energy is vital to daily life. It keeps our world moving. As populations and living standards rise so will the world’s need for energy. That’s why, to help meet tomorrow’s needs, we’re working responsibly today. For us, responsible means applying standards for safety and the environment. So when we produce biofuel from sugar cane in Brazil we use the best practice international standards to help protect workers and the environment. Responsible means sharing benefits with people in places where we operate. For over 30 years our LiveWIRE programme has helped young entrepreneurs to kickstart their ideas. On one project in Pakistan we've partnered with CARE International so that hundreds of rural women can bring their business ideas to life to benefit them, their families and communities. And responsible means finding ways to deliver cleaner energy today, while deploying tomorrow’s technologies. Prelude, our new floating facility, will collect natural gas from remote areas at sea, chill it and shrink it down, to bring cleaner-burning gas to more people every day around the world. Working together to keep the world moving today and help shape our energy future. Meeting the challenge of the contamination of India’s water to supply clean drinking water through an innovative community project supported by Hazira LNG – a reverse osmosis drinking water plant. Instrumental music with an Indian flavour, at times with light and delicate notes, at times more rhythmic and dramatic. With India’s population over the 1.3 billion mark, many of the country’s natural resources are being stretched, including water, with many sources contaminated from sewage and agricultural run-off. Footage of bustling streets in India, The Red Fort in the background and pedestrians, cabs, buses and other vehicles filling the streets. Low angle view of the Indian flag flying from The Red Fort. Bird’s eye view of bustling city streets, multi-storey buildings lining the streets. High angle vertically panning footage of a river. Tall buildings along the banks and blue sky above form the background. Footage of the soil along the banks of the river. The soil has a greenish tinge. Aerial footage showing the greenish tinge along the banks of the river. Because of the poor sanitation, gastroenteritis was very common when the people are using contaminated water or well water. Mid-shot of Dr Ghemawat speaking to the interviewer who is out of shot, against the background of his surgery. Footage of a villagers collecting water in canisters or drinking water from a communal water spout under a tree. When we drank the other water we frequently fell sick, so every month or two we had to go the hospital. Low angle footage of a woman entering the doctor’s surgery. Footage of the woman and the doctor conversing across his desk. Mid-shot of Ila speaking to the interviewer who is out of shot, against the background of green foliage. But in one village in Western India, an innovative community project supported by Hazira LNG is making a difference. They supported the village panchayat, a local community group, to build a reverse osmosis drinking water plant. Low angle view of the Indian flag flying against the sky. Bird’s eye view of Hazira LNG plant and entrance. Footage of the LNG tanks. Footage of a villager dispensing drinking water into a 20 litre bottle. More 20 litre bottles are lined up and other villagers stand in the background. Footage of two small filters in the process of filtering water. The water comes from the well, which then goes into our tank. From tank it goes directly into the sand filter, which processes the water. From the sand filter, the water then goes into carbon filter next to it. After the carbon filter processes the water, it is channelled to two small filters. Finally, one part of the water is clean, which is stored in our tank. The waste water goes outside. Wide view of Shailendra speaking to the interviewer who is out of shot, standing alongside the reverse osmosis system. He points in turn to the tank, sand filter, carbon filter, and the previously described small filters, as he mentioned each one’s role in the reverse osmosis process. To avoid problems of power shortage, the water plant runs on solar power. It has a storage capacity of 4,000 litres. Close-up of a switch being flipped to start the process. Close-up of one of the small filters in the process of filtering water. Footage of a bank of solar panels, cutting to footage of the sun against an orange sky. Panning footage of the sand and carbon filter abreast of one another. Each family is given a standard 20 litre bottle which is used for collecting water from the reverse osmosis plant. How the programme works is also unusual. Studying similar projects in India, the team saw that programmes or facilities provided for free to communities didn’t always last. Reverse angle footage of a man carrying a 20 litre bottle in each hand, walking towards the water collection point. Footage of a boy placing his bottles alongside the other waiting bottles and waiting with other villagers while they are filled. Footage of a number of filled 20 litre bottles being placed in a vehicle. Footage of a woman carrying a 20 litre bottle entering the property to join the others waiting to have their bottles filled. Footage of a man filling a bottle with water from the tap, cutting to a close-up of his face and then of another villager’s face. So from the onset, the solution in Hazira had to be sustainable and involve the community. They drew up a pay and use system, designed as a social enterprise where villagers pay six rupees to fill water bottles. Wide footage of the villagers gathered around the tap and bottles at the water collection point. More footage of the man filling the bottles, and a woman leaving with the water bottle on her head, accompanied by a man and small boy. Footage of a woman holding her pay-and-use card as she waits with her bottle. More footage of the villagers waiting at the water collection point. A man is seated at a desk with a book and a stack of the pay and use cards. Villagers, including Ila, approach him and he fills out their cards. We have a card which allows us to collect water, and our water collections are recorded in it. We have to recharge the card in advance by paying the fees to the operator. High angle view of the man at the desk filling out a pay and use card. Reverse angle footage of Ila walking down the street with her bottle of water on her head. We don’t supply free water, but we collect a nominal fee from the customers to run the solar plant. Wide view of Shailendra speaking to the interviewer who is out of shot, standing alongside the reverse osmosis system. Close-up footage of the various controls and meters of the reverse osmosis system. Hazira LNG helped with the infrastructure but the ongoing system is run by the community. Today, nearly 300 households are enrolled in the programme. Footage of the water collection point as various villagers leave with their bottles of water, and others collect around the desk having their cards filled out. With this clean water, our health has improved and we save on hospital and medicine fees. Our whole village has enjoyed the benefits that clean water brings. Reverse angle footage of a woman walking down the street carrying her bottle of water on her head, and accompanied by a small boy. We don’t have to drink boiled water, now that we get clean water. Everything is good. Footage of a young man placing his bottle of water on his bicycle. Close-up of Ramila speaking to the interviewer who is out of shot, against the background of the water collection point. Currently, most families in the village use this water. There are plans to expand this successful programme to other rural villages in India. And the hope is that the initiative in Hazira will be able to sustain a clean water supply for many years to come. Footage of a man cycling towards the shot, carrying numerous containers on the back of his three-wheel bicycle. Reverse angle footage of a group of teenage boys walking up a street. There are houses lining the street. Footage of a small boy at the entrance of a house in the village. A young girl runs past him and into the house. Front view of Ila approaching, carrying her bottle of water on her head. Reverse angle footage of Ila’s swishing skirt and feet as she walks down the street. 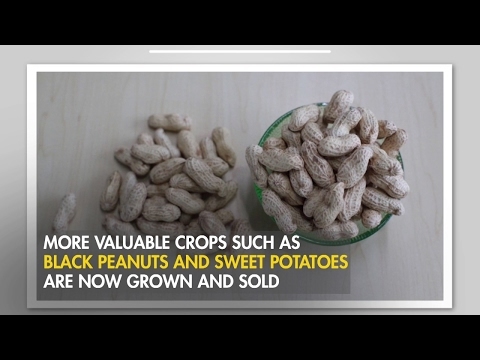 Two piles of black peanuts, one with shells, one without. A pile of peanuts in shell at frame-left and a small bowl of peanuts in shell alongside at frame-right. One unpeeled sweet potato sliced into four pieces. In 2007, they banned compressor fishing. Elsewhere in Bulalacao, training programmes are helping communities to find alternative livelihood opportunities. David Hone enters from frame left. The text breaks up into grey and red balls representing carbon dioxide which float up towards the top of the screen. Wide shot of David Hone standing against white screen. Mid-shot of David against a white background. Animated red car enters frame-right. David picks it up with his left hand, releasing it to hand mid-screen. Behind the red car, a plus sign appears and as the car moves slowly screen left, an outfit of shirt, tie and jacket drifts up from bottom frame right, coming to a standstill behind the car. A red bicycle drifts up from bottom frame right, and joining the line of car and outfit behind another plus sign. The animated sequence fills the screen as an air conditioner followed by a coffee machine move up from bottom screen right to join the line of items, all with plus signs between them. The animated graphic breaks into coloured balls and the balls float upwards. 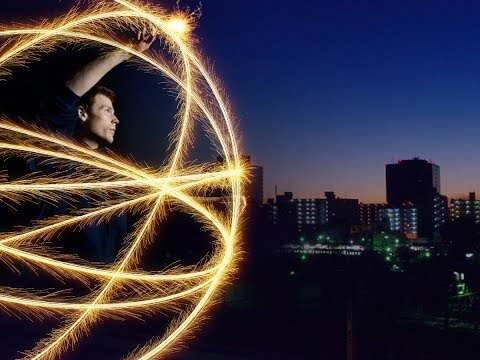 The shot follows the balls up into the graphic of a city skyline. Zoom out on city skyline as balls continue to rise. A line drawing forms a pyramid over the city skyline and the coloured balls fill the pyramid. A vertical measuring line appears alongside the pyramid, with wording. Cut to close-up of David’s left arm and hand, appearing to hold the animated graphic of a smartphone, screen filled with coloured balls. The graphic of the smartphone fills the screen, the coloured balls floating to the top of the smartphone screen, and then out to rise above the smartphone. A vertical measuring line appears alongside the smartphone screen with wording. Mid-shot of David against the white background. To his left, animated balls float up from the bottom of the frame. Close-up of coloured balls, some forming into the shape of question marks. Close-up of David in profile, frame-left, seen to be looking at the rising balls and question mark graphics. Zoom out to mid-shot front view of David, holding his left hand above the balls to bring them down to a lower level. Cut to close-up of David against the white background, still holding his hand out to the left at waist level. Close-up of David’s left arm and hand, his hand stopping and keeping the coloured balls from rising further. The balls this time contain different currencies. Extreme wide shot of David walking towards centre-frame against a white background. Coloured balls rise from the chimneys of the factory, while large coloured balls bearing currency symbols float in a straight line from right to left, across the figure of David, from the factory to the treasury. Zooming shot of map of Europe, little groups of coloured balls appearing at various spots on the map. A web of lines in motion appears between each group of balls, individual balls moving along the lines. Pans down from map animation back down to David, as he appears to look up at the animation. Close-up of front view of David against a white background. The animated outline of an energy-saving globe appears frame-right of David. Red and orange balls surround the globe, pulsating outwards. Cut to mid-shot of David against white background. Animated graphic appears frame-right, alongside David’s figure. The graphic shows the outline of a factory, with coloured balls floating up and out the outline of a chimney. The graphic of the factory is set above a top-section of layers of earth, and a long tunnel appears beneath the factory, running down through the layers of earth, allowing the coloured balls to escape downwards rather than upwards. A vertical measuring line appears alongside the top-section of earth, with wording. Cut to close-up of David against the white background. Mid-shot of front view of David, pointing with his left hand and arm to an animated graphic. The animated graphic frame-right of David is of a top-section of earth layers, showing a tunnel running vertically through the centre and down through which the coloured balls are being injected to collect in the very lowest level. Animated arrows showing the downwards direction of movement appear frame-left of the graphic. Close-up of David’s left hand pointing to the lower levels of the graphic just described, animated movement of arrows and balls visible. Cut to animated graphic depicting three gently floating circular outlines, each containing an image and labelled. Cut to mid-shot of David, standing frame-left of the three graphics just described. David draws an animated circle in front of him using the index finger of his right hand. David pushes the circle to his left towards the three graphics, still slowly rotating frame right, and the larger circle serves to link the graphics in a cyclical diagram. Close-up of a slowly rotating molecular-type animated structure of interconnected lines, linking the coloured dots which are now seen to be inscribed with currency symbols. Zoom out of the slowly rotating structure. David enters from frame-left to stand beside the animated graphic. Slow zoom in on David with the graphic slowly moving out of frame. Cut to mid-shot of David with graphic again visible frame-right. David touches his left index finger four times over the graphic, causing four more individual circles to appear, each containing an image and moving outwards to be linked to the webbed graphic by individual lines. The smaller graphics are: a solar panel and sun, labelled solar; a harvester and head of wheat, labelled bio; wind turbines, labelled wind, and the previously described image of coloured balls being injected down through layers of earth, labelled CCS. Close-up of David against white background. Wide shot of David exiting towards frame left against a white background. Project Humrahee is one of the many initiatives of Shell which intends to identify quality drivers and provide training to them. Thousands of Shell staff and contractors across India as well as Asia took part in safety roadshows and hands-on demonstrations at their offices and facilities today to mark Shell's annual Safety Day. A blood-red sun in a smoky sky. Alternating footage of pedestrians walking along very busy roads and views of commuter traffic - bikes, both motorised and pedal-cycle, heavy vehicles, passenger vehicles and tuk-tuks - streaming along. 140,000 people die every year on India’s roads. That’s over 2,500 people per week. Music becomes very quiet and subdued and a heartbeat can be heard. A woman, holding a young schoolgirl’s hand, keeps a wary eye on traffic as they cross the road. Most of these deaths are caused by human error and could have been prevented. Night-time public security video camera footage of traffic streaming along a busy road. Newspaper clippings of motor vehicle fatalities are slammed down on top of one another. Blood pools around the clippings as they fall. 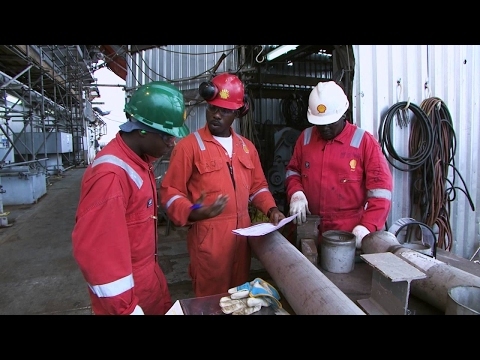 In this challenging environment, Shell has set up a programme that tries to tackle this problem head on. Close-up of a seatbelt being buckled. Close-up of a foot depressing an accelerator. Driving simulator footage of a busy mountain pass. Music reaches a crescendo. The quiet, dramatic music resumes. Dawn or dusk footage of a truck passing by on a busy road. Various angles, from within the truck cabin, of Ravinder driving. When I was in the twelfth standard in school, I failed that year. So my father asked me to find work for myself and start earning. There used to be truckers driving through our village. I came with them and that is when I learnt how to drive, and started driving. Ravinder’s truck travelling along a highway. Close-up of Ravinder flipping a headlight lever. Close-up of Ravinder’s face as he navigates traffic. Rear view of Ravinder’s truck. It is indicating right as it travels along the road. There are so many heavy vehicles drivers like Ravinder in India. They spend their lives travelling hundreds of kilometres every day with little sleep, a deadly combination. A road bustling with heavy vehicles. Various scenes, both daytime and night-time, of trucks barreling along busy roads. View of the road ahead illuminated in a truck’s headlights. Close-up of Ravinder’s profile as he concentrates on the night-time road ahead. I was paid well, but risks to life were much higher. For example, I had to reach Calcutta from Mumbai in 36 hours. Even a train cannot reach Calcutta in 36 hours but we were expected to reach there in that much time. Because of this risk to my life I left the job. View of heavy night-time traffic from Ravinder’s truck. Day-time footage from within Ravinder’s truck of trucks whizzing by. But Ravinder’s story is not unique and accidents through fatigue are frequent. View from within the truck cabin of Ravinder driving. A busy road: motorcyclists whizz by, hooting loudly. Various scenes of heavy daytime and night-time traffic. In this challenging environment Shell responded by setting up a new programme. Music becomes lighter and more uplifting. Daytime public security video camera footage of a busy city intersection. First, driving behaviour was studied across the world, in countries where the rate of accidents was low. They took this learning and created a plan to improve driving patterns of Shell India’s truck drivers. And Humrahee was born. Aerial footage of a busy city intersection. Various scenes of busy city streets. View across rooftops of a large seaport. Various scenes of trucks on Indian roads. Aerial footage of a gate guardhouse, car-park and truck depot. Looking at the data, which we have done some analysis, when we see the tremendous reduction in non-Shell trips also, which is really helping. Tony Joseph and a colleague seated in an office, discussing the Hamrahee Project. I look at road safety as a matter which can change the whole scenario of a family. Today he goes out to work, he is the sole breadwinner of the family, he doesn’t return home. So there are so many people in this country who get impacted by it. The whole family’s social structure itself changes. Close-up of truck wheels on a truck on a busy road. View from inside the truck cabin of Ravinder driving. Close-up of Ravinder’s left profile. A view of oncoming traffic. Hooters can be heard blaring. Humrahee is a Hindi word which means travel companion in a long, arduous journey. It is now an independent accreditation programme for India’s heavy vehicle drivers. The Shell emblem proudly displayed on the front apex of a building. Aerial view of a truck depot. Aerial view of a truck making its way slowly through a weigh station. Footage, from various angles, of trucks in the depot. Humrahee is a comprehensive road safety programme which enables the driver to behave safely on the road. And the driver also becomes an influencer to other drivers to ensure that they also drive safe, which in turn will make our roads safer. Music changes tempo as the beat increases and becomes livelier. A man instructs a driver seated in front of a driving simulation console. View from over the shoulder of a driver using the driving simulation console. The instructor stands by to give advice. Extreme close-up of a hand turning a key in the ignition. Close-up of a foot depressing the accelerator. The programme follows multiple steps of modules. It starts by pre-screening drivers to measure their behaviours and attitudes and uses driving simulators to mimic road conditions. The driving simulation office: a driver and instructor are busy at the console in the background. Various screen shots of settings on the driving simulator screen. Close-up of a driver’s hands on the steering-wheel. Close-up of the driver’s face as he concentrates on the simulator screen. The instructor offers advice to the driver. Simulation is a good practice for the driver. Whatever he is supposed to do on the actual road, he will be practising it himself, so lane driving, discipline, road rules and regulations and hilly driving, night driving, foggy driving. Close-up of the traffic seen on the simulator screen. Close-up of driver’s hands on the simulator steering-wheel. Simulator screen: a country road with minimal traffic approaching from the right. Simulator screen: a large intersection in foggy conditions. Close-up of the driver’s hand shifting gears. Simulator screen: a moderately busy mountain pass. The truck’s windscreen wipers are in use. Simulator screen: a night-time country road, with traffic approaching from the right. Simulator screen: a rural dirt road, in dense fog, with slow oncoming traffic on the right. Evaluations, behavioural profiling and eye tests are all part of the programme. Each driver needs to spend a minimum of 30 hours over a 6-month period training. Close-up of a hand pressing a key on a keyboard. Simulator screen showing settings for driving. Subba, the driving instructor, giving advice to a driver seated at the driving simulator. Simulator screen: a narrow mountain pass, with moderate amount of traffic approaching from the right. The windscreen wipers are in use. Close-up of the driver’s hands on the steering-wheel. 300 drivers are currently going through Humrahee. 80 have graduated. The difference with Humrahee is that the training doesn’t stop in the classroom. Sabba, the driving instructor, is addressing a classroom-full of truck drivers. We use this P-drive when we go for the practical driving assessment. We fix this on the windscreen and this instrument faces the road and it records all that is on the road. Subba and a truck driver walk across the parking lot which has several parked trucks in it. Close-up of P-drive instrument in Subba’s hands. The journey is recorded and analysed back at the centre. This monitoring system can record drivers’ behaviours 1,000 miles away, their speed, their braking and their pit stops. Sped-up footage of two-way traffic on a six-lane bridge spanning a wide body of water. View of a laptop screen, as seen from over the shoulder of a man examining the screen. Subba discusses the video footage on the laptop with a driver. My dream will be to have this as a standard for the country. Our roads are going to be much more safer; we will have less orphaned families, less widows in this country on this context. The truck depot: the driver door closes of a large truck closes. The truck pulls up to the gate of the depot, preparing to leave. Tony analysing graphs on a computer screen. Ground-level view of a driver closing the truck door. View from the front as the truck makes its way fairly slowly along a narrow street. But the programme doesn’t just deal with driving; it also looks into the overall health of the driver, including things like nutrition and sanitation. And Humrahee doesn’t just affect the lives of the drivers; it also affects the lives of the families. A truck on a less busy road. Pedestrians on a busy street. A mother holding a toddler as she walks through a busy public area. Close-up of a woman laughing. Ravinder and his three children make their way alongside the pavement on a busy street and enter the grounds of an apartment block. He isn’t as stressed out as he used to be. View through a living room window of Ravinder seated on a couch alongside his children, the youngest on his lap. View from inside the living room of Ravinder seated on the couch with his family. He is interacting with the youngest child. When he comes home early and takes the children to the park, then the children are happy and he feels good. Ravinder, accompanied by his children, strolling along through the grounds of the apartment block. 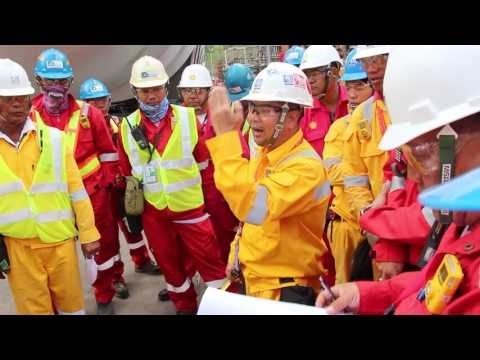 Humrahee is an incredible concept, and I want to congratulate Shell for developing this concept. And I wish a number of corporates and other entities will take it up. Close-up of the driving simulator screen. The driver’s left profile is just visible. The screen shows a lonely country road. Simulator screen: building façade and traffic moving through an intersection ahead. The impact has been stupendous. We see a drastic improvement. Now our drivers are much safer. Pedestrians crossing a busy road, weaving in and out of traffic as they do. Close-up of truck wheels as they whizz by. Close-up of Ravinder’s face as he concentrates on driving his truck. View of Ravinder’s truck approaching on a busy road. Aerial footage of the truck depot. Humrahee has been running for over three years. Based on statistics collected over almost one year, Humrahee drivers were found to be nearly six times safer than non-Humrahee-trained drivers, continuing Shell’s journey to protect India’s roads and its people. Subba assisting a driver to buckle himself into the simulator driver’s seat. Close-up of the seatbelt being buckled. Close-up of a hand shifting the truck’s gear lever. Close-up of foot depressing the accelerator. View of the simulator screen as seen over the driver’s shoulder. Simulator screen: a dusty, rural road, with heavy oncoming traffic approaching from the right. The conditions are very foggy. Close-up of a driver’s hand shifting gears in a truck. View of the rear of a large truck driving along a narrow road. Close-up of symbols and, presumably, Hindu writing on the truck bumper as it whizzes past camera. The truck slowly negotiates a curve on a dirt road. View from the rear of the truck driving along a four-lane highway. Aerial view of a busy six-lane highway. 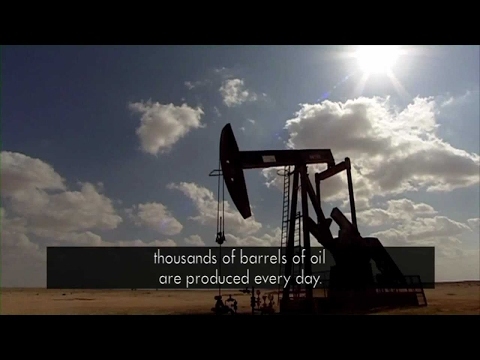 Shots throughout the video show the Nimr oil fields, pumps and the surrounding desert and the fields of reeds. At the Nimr oilfields in Oman, thousands of barrels of oil are produced every day. But only a tenth of liquid brought to the surface is actually oil - the rest is water, which must be cleaned and disposed of. In the past, Petroleum Development Oman has pumped the water back underground. But this is costly, and uses energy. A new approach uses reed beds to purify the water before it evaporates naturally beneath the desert sun. Using the new technique, most of the crude oil is first separated from the water. Traces of oil, however, remain in the water. Pulled only by gravity, the oily water then flows downhill through about one and a half kilometres of reeds. As it passes through, the oil sticks to the reeds, and is eaten by natural microbes living on the plant. By the time it reaches the bottom of the fields, the water is 99.5% pure, and can be left to evaporate safely in the sun. "The four purification stages have removed everything that's left after the oil has been separated. The reeds have also dealt with the organic substances dissolved in the water". After a successful trial, the plant has been expanded to more than double its size. Engineers also hope that the process can soon be used elsewhere. 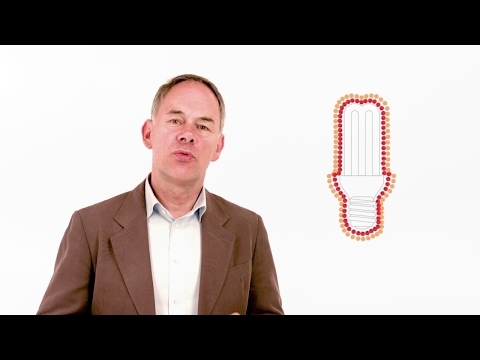 "A plant like this could reduce energy consumption for water purification to almost zero". My name is Carson Newby, I'm Shell's Community Affairs Rep for the Groundbirch Venture here in Groundbirch, British Columbia. The Groundbirch Venture is located in northeast BC, or British Columbia, and it's situated near the communities of Dawson Creek, Fort St. John and the village of Chetwynd. Groundbirch is a very large piece of land, about 30 by 50 kilometres, that has a big resource in it of clean natural gas. There's not only production coming from it which is about enough for two and a half million homes when it's fully up and running, it'll also live for about 40 years of production life. The Groundbirch area is like many other communities - it centres around water availability or access to water. The ranching and farming community that's here has told us repeatedly how important water is to their lifestyle. One of the issues that we have is, the oil and gas industry requires a lot of water. With the community really growing right now, it's something we really have to be cognisant of to make sure that it's a sustainable resource. We minimise the use of fresh water through recycling of the existing water that we have in the system. What you can see here is actually a big part of that. On the one side we have a pond that holds nothing but produced water, and this is water that comes back from our wells following the fracking process. We were using water from ponds which are also used to actually water cattle and we would draw water from the river. We were looking, as a company, for better sources of water that were less taxing on the environment and the community, and, at that time, it happened to line up that the city of Dawson Creek came out with a proposal to seek industry support for making more of their waste water. Shell came forward with a really great proposal of how they could partner with the community, partner with the city and we'd be able to make a project that was something that would benefit all of us. We partnered with the city to treat the water to a standard that would essentially allow the city to use that water to water lawns, service other industrial users, and we would be one of those industrial users. This project is a big win-win, and I'm actually quite proud that I'm part of that project. Lots of cities we know have tried to engage with Dawson Creek, to copy this and make more out of their waste water, so I have good hope that both in Shell as well as in the wider nation that some people will follow the thinking like this. This has been one of those amazing projects, that started with a small idea, that has not only worked out for Shell, but it's going to be beneficial for decades to come for the city of Dawson Creek. 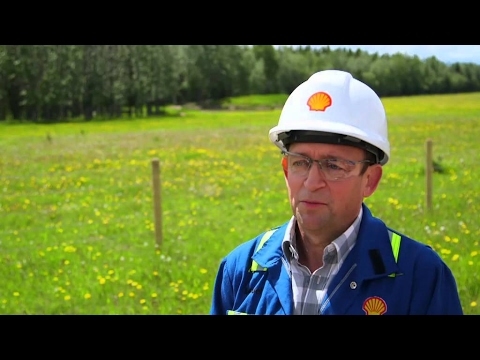 Shell and the City of Dawson Creek officially opened the Reclaimed Water facility on September 7th, 2012. Around 700 million Indians still rely on solid fuels like coal, dung and crop residue for cooking. These often take many hours to source and can be harmful to inhale. In the Western state of Gujarat, where Shell's Hazira joint venture supplies natural gas to industries, a government-led initiative is also bringing piped gas to villages, supplied by Gujarat State Petroleum Corporation. Footage of Ushaben placing wood into the fire pit in her home. Extreme close-up of Ushaben as she blows on the fire, sweat beading on her forehead, cutting to a close-up of a large pot of food simmering on the fire. Ushaben spends three hours a day cooking for her family, like millions of women in rural India. More footage of Ushaben on her haunches, stoking the fire beneath the pot of food. Smoke rises up from the fire. Extreme close-ups of the log fire and Ushaben’s sweat-beaded face. We bring the wood and burn it in fireplace. Close-up in profile of Ushaben’s sweat-beaded face, cutting to a mid-shot of Ushaben facing the camera, the rough brick walls of her home in the background. Due to the smoke, both me and the children cough. We sweat and our eyes start to tear. This is the harm it causes our bodies. Low angle close-up in profile of a small boy against the background of the home’s tin roof, reaching up to Ushaben who is out of shot. This dissolves to footage of smoke billowing up towards the roof. Rear-view close-up of the child coughing, cutting to a low-angle footage of Ushaben caressing his head, as he wipes his eyes with her clothing. Mid-shot of Ushaben facing the camera, the rough brick walls of her home in the background. Footage of Ushaben and the child seated on the floor of the home as smoke billows from the fire. Air pollution is the world’s single largest environmental health risk. An estimated 700 million people in India still rely on solid fuels like coal, dung and crop residue for domestic cooking. Footage of smoke billowing from the top of a factory chimney, dissolving to a wide shot of an industrial area, with black smoke billowing from the factory chimney and across the skies just above the canopy of roofs. Low-angle footage of vehicles approaching on a busy road. The skyline in the background is filled with factory chimneys. Footage of street-side vendor carts, with bicycles passing in the foreground, cutting to a wide view of another busy street lined with multi-story buildings and filled with oncoming traffic and pedestrians. Footage of pedestrians walking the busy city streets, cutting to wide view of two women walking down a sidewalk, both carrying burdens on their head. The sidewalk is lined with laundry that has been hung out to dry. Low-angle view of a building where a number children are visible through the large window, but the windows are covered with burglar guards and mesh. Low-angle view of residents entering and exiting two doorways respectively. The doors open right onto the street. An old cart, a motorcycle and laundry are visible outside the homes. Here, at the local clinic, the majority of patients are women and children and most have respiratory issues. High angle view of people walking over the sidewalk towards the entrance of the local clinic. Footage from the doctor’s office, including a close-up of a patient’s face as she speaks, a high angle view of the patient seated across the desk from the doctor, and a close-up of the doctor as he speaks. Because of the wood burning stoves, there are diseases related to lungs like respiratory tract infection that may lead, in advanced stages, to lung cancer. Low-angle close-up of Dr Ghemawat, against the background of his clinic office. Footage of the doctor taking the patient’s blood pressure, cutting back to the low-angle close-up of Dr Ghemawat as previously described. The second thing is the burning eye and early cataract. Footage of the doctor inspecting the patient’s eyes. Across the country, exposure to smoke emissions from household solid fuels is estimated to cause 500,000 deaths and 500 million illnesses annually, according to the WHO. Footage of a pink-hued sky, showing black smoke billowing up into the skies, dissolving to footage of Ushaben carrying the child on her hip and walking towards the entrance of her home. Extreme wide shot of an elderly woman exiting a building and crossing a courtyard. Footage of a busy sidewalk, motorbikes passing in the foreground, cutting to a woman seated next to a fire pit, using her clothing to shield her face from the smoke. More footage of a pink-hued sky filled with billowing black smoke. Synthesised instrumental music with xylophone effect. However, in some areas of Gujarat, the picture is quite different. Low-angle rear view of young people walking along a street, approaching residential buildings. Pan to close-up of Rameelaben, cutting to a footage of Rameelaben entering her neat kitchen and crossing to her gas stove, which she lights before placing a pot on the stove. Before, we had to search for wood and it would take 2 hours. Then we would go to work, come home, place the wood in the fireplace before we can start cooking, which takes another 1 to 2 hours. When we started using gas, we had extra time for work. Close-up of Rameelaben as she speaks. Footage of Rameelaben lifting a bundle of firewood onto another woman’s head, who then walks down the street, heading home. Using piped gas, women can save up to five hours every day, which also helps them increase their household income. Footage of Rameelaben turning on the gas valve, and pouring a handful of rice into the pot on the stove. Low-angle close-up of Rameelaben, cutting to a wide view of her standing at the stove. With extra time on our hand, we work as house help and earn 1500 rupees more per month. Footage of Rameelaben talking with a friend, the two ladies and a child seated on a bed in a large pink and blue painted room. The room’s décor includes a TV screen and several framed pictures. Footage of the clean, pink-painted wall where it meets the roof. …increasing the use of gas in the energy basket. Close-up of Nitin Shukla, pale blue skies and a large tank forming the background. Suppose gas was a little more expensive – it’s still better because you take the total benefit of it. Low-angle view of a line of power pylons and cables, foliage and green grass in the foreground. Low-angle footage of trucks passing below and then fully revealing a pylon standing tall against the blue sky, cables stretching out from it in either direction. Close-up of Kartikeya Sarabhai against a background of green foliage. Instrumental music with piano and strings. I think people are now convinced that it’s good for them. It’s good for their health, their dignity, their working – and I think that’s very important and I think that’s where the government support is very useful. Footage of people on the streets of Gujarat, some seated, some walking alongside the traffic on the busy streets, some on motorcycles, others crossing the street as traffic races past. Footage of Rameelaben in her pink and blue-painted living room, seated across from a smiling young man with a child on his lap. 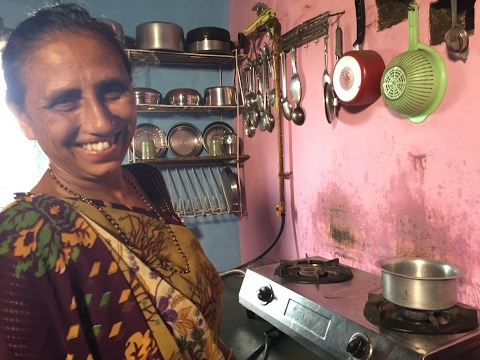 Gujarat is the first state to connect some of its villagers to piped gas for cooking. More footage of Rameelaben’s family – close-ups of the smiling young man, of the child on his lap, of a young girl, and of Rameelaben. An aspiration, according to the Prime Minister, is to expand this to several other states. More footage of the people of Gujarat – a teeming crowd of Indian pedestrians; two woman walking down a street, chatting; and several young children seated together indoors, books on the laps of some. Low-angle view of a boy walking down a street, a toddler on his shoulders, other children running alongside in the street. Good news for India. Great news for the health of India’s women and children. Close-up of the young boy previously seen in Ushaben’s home. Mid-shot of a smiling Ushaben facing the camera, the rough brick walls of her home in the background. Close-up of a smiling Rameelaben.